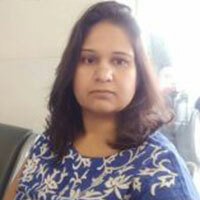 Anjali Sharma holds a graduate degree in economics and an M.B.A. in finance. She has a work experience of 12 years in the area of corporate finance. She has held finance positions in TATA Group companies in the space of telecommunications and financial services. She has been a research consultant at the Finance Research Group at IGIDR (Indira Gandhi Institute of Development Research) since 2013, and leads the research secretariat to the Standing Council on International Competitiveness of the Indian Financial System. She was part of the research secretariat for the Bankruptcy Legislative Reforms Committee (BLRC).